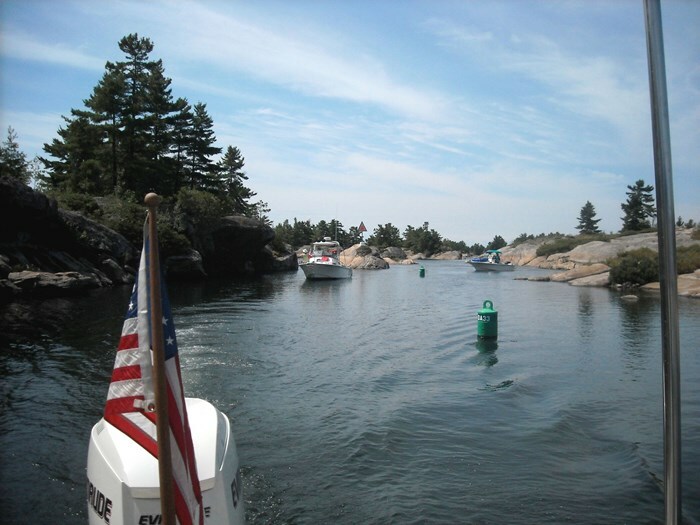 There are excellent opportunities for touring Ontario by boat on a multi-day trip. 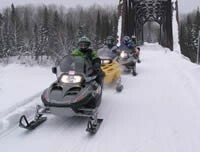 Top attractions are the Rideau Canal, the Trent-Severn Waterway, and the Georgian Bay Smallcraft Route. The Rideau Canal takes a boater from Kingston to Ottawa via a series of locks and lakes. The Trent-Severn Waterway connect Lake Ontario to Lake Huron, bypassing Niagara Falls and Lake Erie, running about 386-kilometers (240-miles). The Georgian Bay Smallcraft Route permits boats to travel the entire eastern shore of Georgian Bay, from Midland to Killarney, in a protected passage. For all three trips, about a week (or more) is needed to enjoy the leisurely pace of travel by boat. While many make these trips in larger cruising boats, these routes can be enjoyed as well by boaters in smaller boats, thanks to the excellent shore facilities found along the way. In choosing a boat for transiting these routes, the first consideration is water draft. In the Rideau Canal the locks provide only 1.5-meters of depth, and any boat over 1.2-meter draft (3 feet, 11 inches) should contact the canal's office before considering a trip. The Trent-Severn Waterway typically has at least 1.5-meters of depth (5-feet). Contact their office for information on water levels. Up to 1.8-meters (6-feet) may be available, depending on conditions. The Georgian Bay Smallcraft route will normally have at least 1.5-meters (5-feet) of water in its shallowest channels. Vertical draft is also a consideration. On the Rideau, the limit is 6.7-meters or 22-feet feet. On the Trent-Severn the maximum clearance is 6.1-meters or 20-feet. On the Georgian Bay route there are no vertical obstructions. Length and beam limits are generally not a concern for recreational boaters on these routes. Although there are shore accommodations along the way on each of these routes, the best experience will be sleeping aboard your own boat. This will eliminate the need to make reservations for motels or inns, and will free your travel itinerary from those constraints. In peak season, it may be hard to find a room ashore every night. And in some instances, the rooms available can be of uneven quality and expense. Except in some remote parts of Georgian Bay, it is typically not hard to find a very good meal ashore every evening. This means your boat does not have to provide complete cooking facilities. But it is very handy if you can whip up breakfast on the boat while at a dock and make lunch while underway with cold cuts. You can also usually set up a grill or use an existing grill at many marinas, and have a good dinner without having elaborate facilities on the boat. You can also buy provisions—including the all-important ice for your cooler—as you travel. So your boat does not need extensive refrigeration. One or two good coolers will keep your food and drinks cold all week. 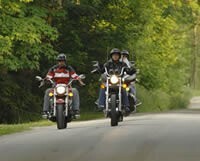 What is the best boat for touring Ontario by water? Perhaps it's the boat you already own. Don't be worried that your boat is too small. It is common to find kayakers on these routes. And a smaller boats will have no problems with fitting into locks or transiting narrow and shallow passages. Even 17-foot boats can usually provide enough room for a sleeping bag for those who like to rough-it. We have transited all these routes in boats from 20 to 24-feet in length, and have had friends accompany us in their boats, some as small as 17-feet. Bigger may not be better on these trips. A successful passage will be more about the navigation than the boat, in most cases. 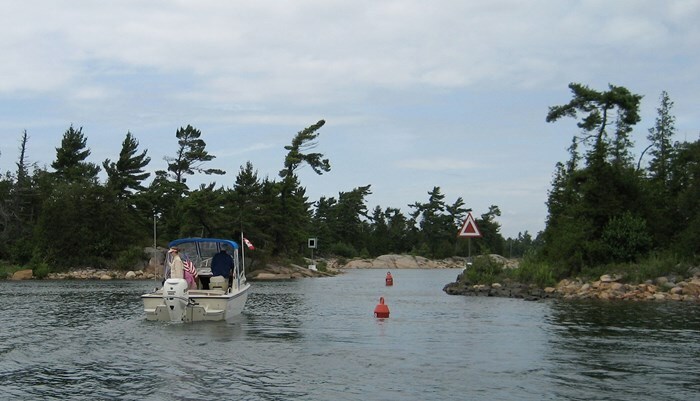 The Georgian Bay Small Craft route is particularly a challenge. There are thousands of aids to navigation that mark that route, and you must pay close attention to all of them. Excellent charts are a must. Fortunately the Canadian Hydrographic Service has published an excellent series of strip charts for all of these routes. Buy the charts! They will save you money in the long run by avoiding groundings. These inland passages through Ontario are wonderful boating resources. With a bit of planning and preparation, almost any boat can enjoy a week of cruising along these waterways. Plan a 2014 Summer cruise now!